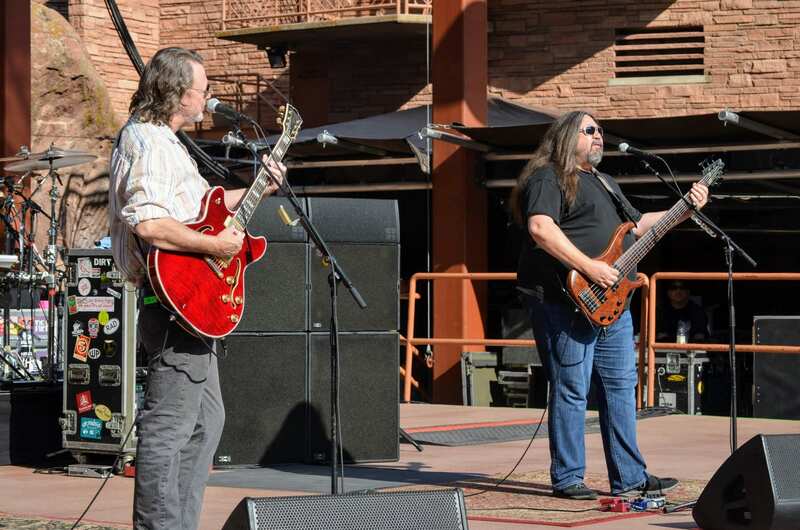 Widespread Panic wrapped up their annual run at Red Rocks Amphitheatre on Sunday, extending their record at the famous venue with their 54th sold out show. In keeping with tradition, the Sunday festivities started earlier, although this year’s edition was pushed back to a 5pm start time, a couple of hours later than the usual kickoff at 3pm. Consistently delivering during an extremely memorable run, yesterday’s sets were not short on major bustouts and special nods as they paid tribute to both The Allman Brothers (with an extended “Mountain Jam” tease during “Rebirtha”) and Col. Bruce Hampton (band and crew all sporting shirts that said “GREASE” for the encore and played the frequent Bruce favorite “I’m So Glad” (a Cream cover). Also of note, two songs that hadn’t seen the light of day since 2001 were brought back for Sunday with “Galleon” and “E on a G” making extremely rare appearances. With the later start time this year, lighting director Paul Hoffman was given some darkness in the encore to once again light up the venue using a quartet of disco balls in keeping with the subtle Studio 54 theme for the occasion.